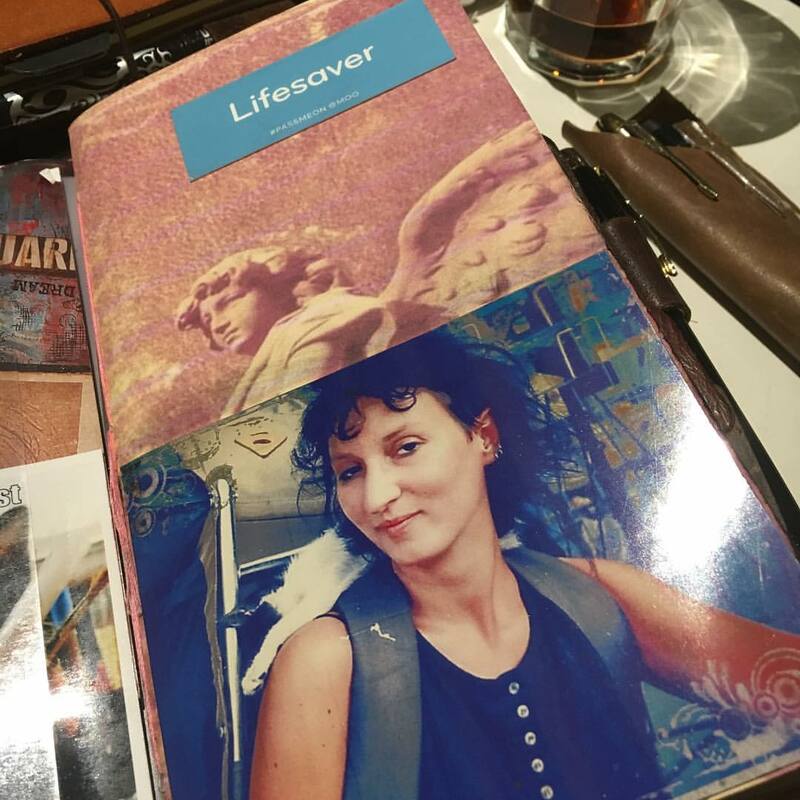 Got a little behind with writing blogposts about the #weeklyphotochallenge2016… Somehow life has a way of getting is the way, but I’m just going to pick up where I left off and post the previous photo’s here anyway, plus this weeks photo’s nr 8, #Bookmarks. 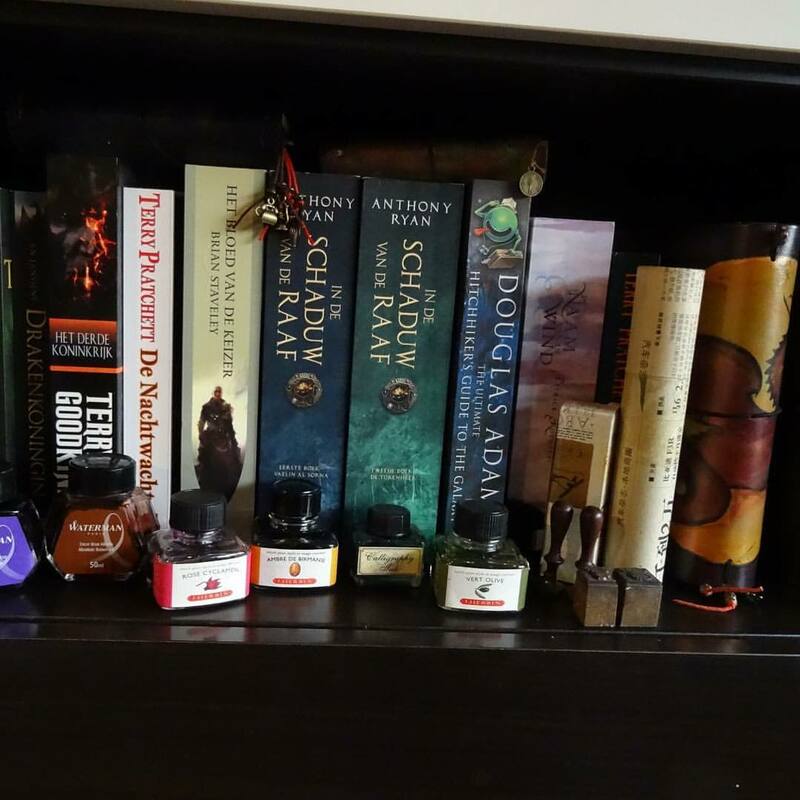 So for this week, we are talking bookmarks. 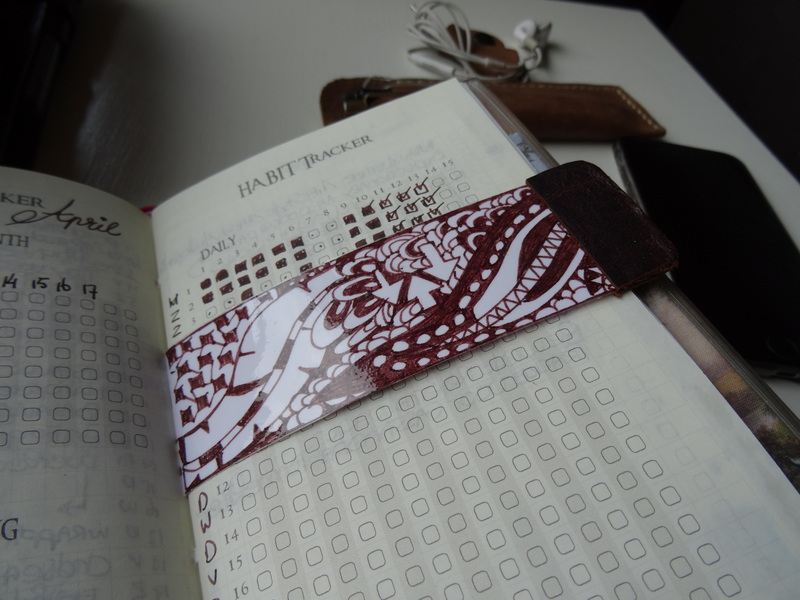 Bookmarks come in all shapes and sizes, but I’ll just stick to the ones I like to use most. You can see them poking out here on the side. I have them staggered though-out the booklets, so they don’t all sit next to each other and in 1 booklet I have 2. A bookmark is defined as marker placed between the pages of a book to mark a place, well that and a few other definitions. 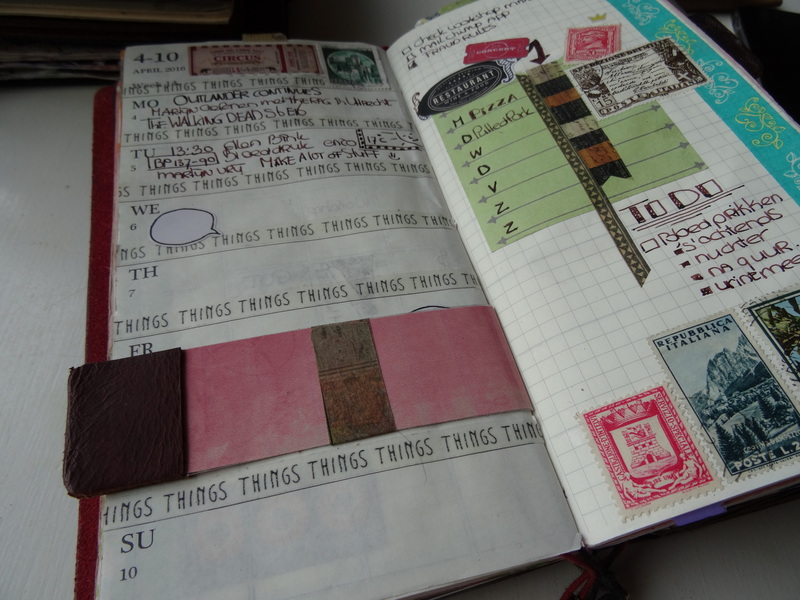 Here I use glued in tabs to mark the months in my planner, this way I can switch easily and quickly to the months. These are just paper cut from a firm card-stock and glued into place. 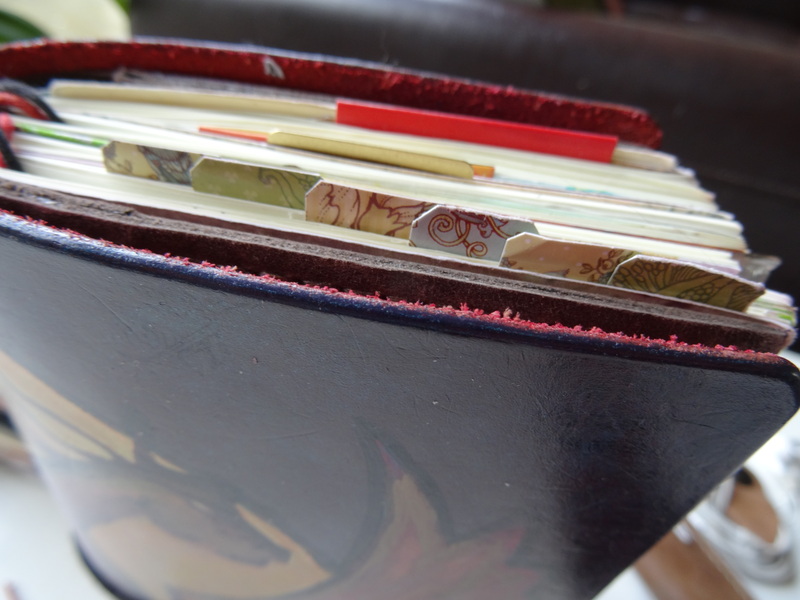 The thing I use most and am really happy about is my home designed repositionable bookmark tab, with leather tip. The one above is my oldest one and it dates back to 2013. Originally it didn’t have the leather tip. Which was fine at first, but after a while the tip got so damaged, I would either have to throw it out, which I didn’t want to do, or come up with a solution…and I found one in the form of glued on leather tips/tabs. These work so great and hardly add any bulk. This is also the reason I prefer to stick with my 3 point pamphlet stitch, for sewing the booklets, because that allows me to slide these bookmarks between my pages. The 3 point is strong enough anyhow, most stapled booklets only have 2 staples and that works just fine as well. This one was plain on the back, so I went and doodled a bit before adding some packing tape to make it stronger. I have experimented with sealing them, with those sealing machines, but I somehow just don’t like that. It’s too stiff for my liking and you have to leave an edge on the side tomake sure it stays stuck, so I’m sticking with the packing tape for now. 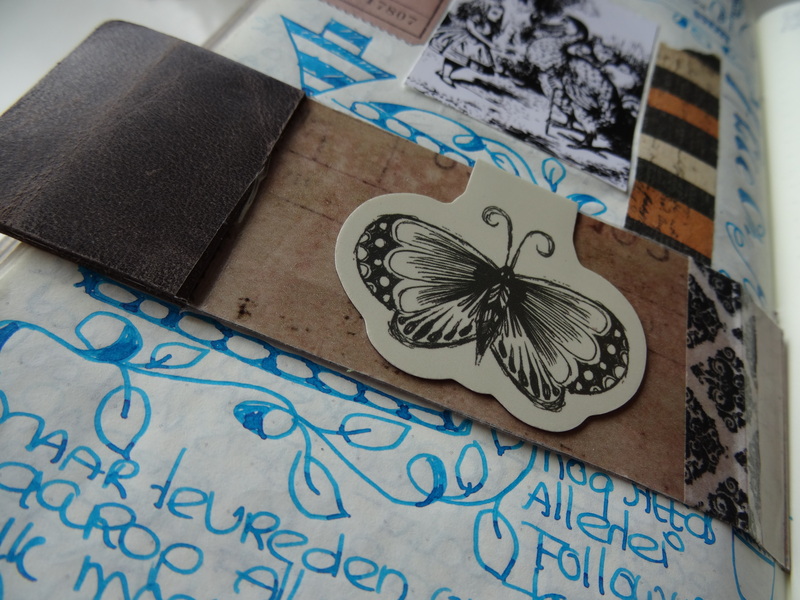 This one is actually just there, because I think it’s pretty…I don’t use the template, allthough I did intend to when I ordered it…ah well, sometimes, just having things there just because they are pretty is a good thing. I can still use it a a ruler though, should I need to make straight line somewhere, because I couldn’t draw a straight line by hand if my life depended on it. 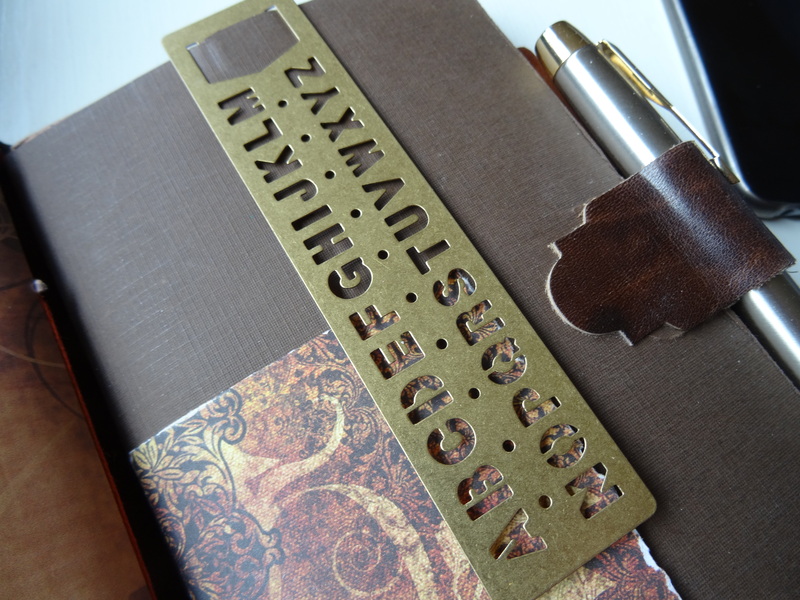 These 2 little bookmarks are both magnetic ones and I use them to keep some pages, or a flap, together. They are both souvenirs from places I’ve been too and I like them very much. They do add a little bulk though, but I’m fine with that, since they do serve a purpose. 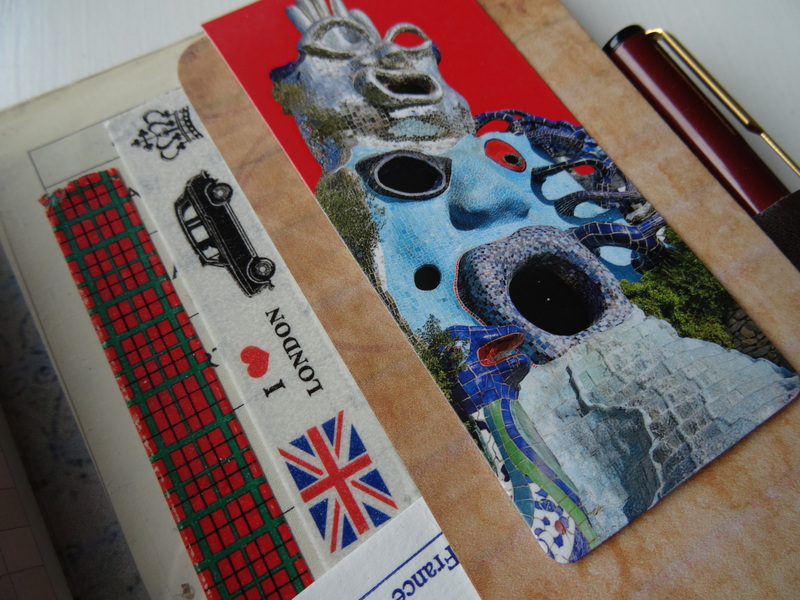 The bottom one is from The Tarot Garden, from Nikki de Saint Phalle in Italy and the top one is from the Sagrada De Familia in Barcelona. Then ther are these little pretty ones from Bookdarts. Tiny very cute little bookdarts and I must admit, I mostly just use there because they are pretty. 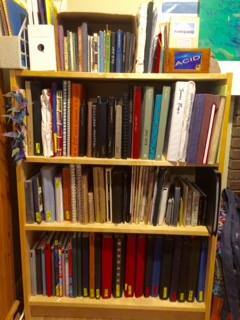 They come in three colors and are made from a very thin metal, so they don’t add bulk to the pages at all. 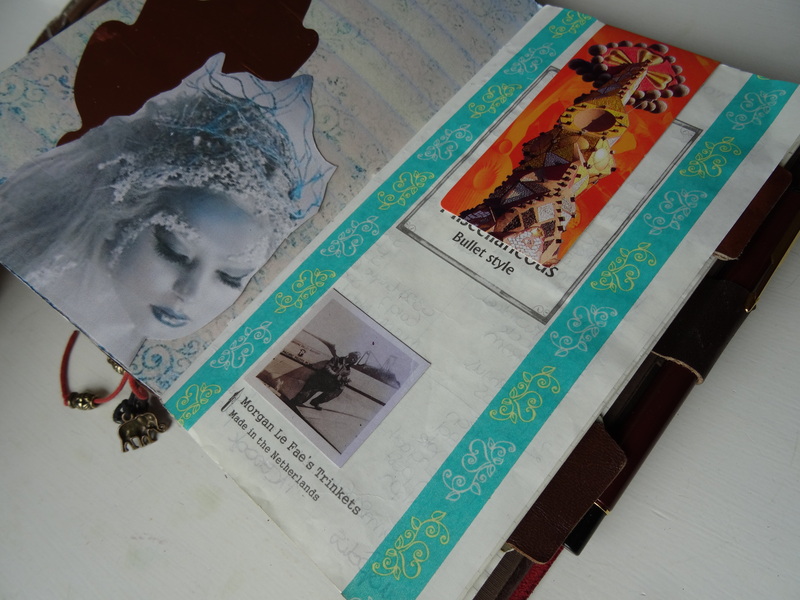 Nor do they damage the pages, a very clever design indeed. lastly I should mentions, that although my notebooks always come with bookmarks strings, I never use them, at least not as a bookmark. 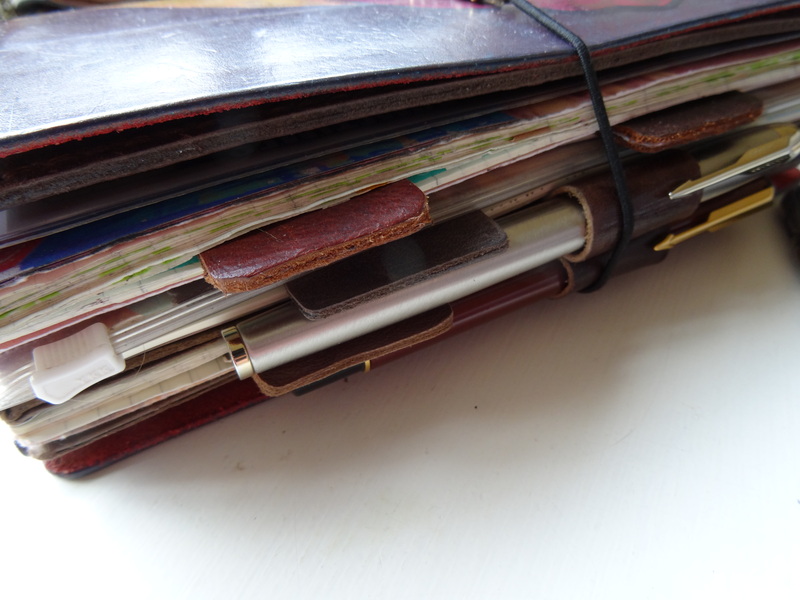 I use them as decoration and dangle some tiny charms from them and I used them to pin down the notebooks in my traveler’s, although I must admit I haven’t really done that in a while and it’ll only work with the standard threading, with the slits in the top and bottom…. 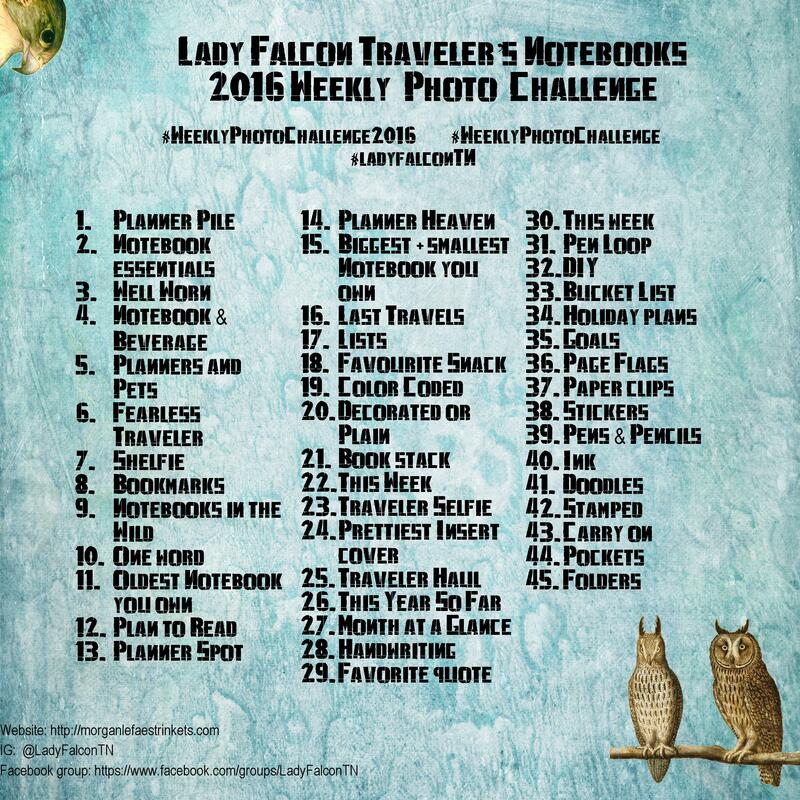 If you like photochallenges, come join us in the Lady Falcon Traveler’s Notebook group and enter to win the end of the year overall contest =), you can read about it here. Hope you enjoyed my little bookmark tour and maybe got some ideas for your own bookmarks.